This is actually true of many European monarchies. Marriages were always a means to add territory and/or avoid conflicts. 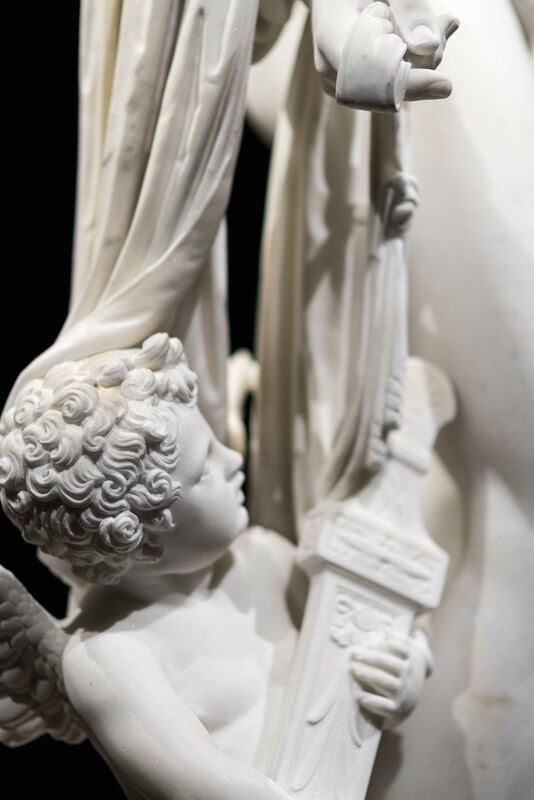 Nothing could be more representative of this than Mars and Venus with Cupid being shown now as a special exhibition at the Belvedere Museum in Vienna. 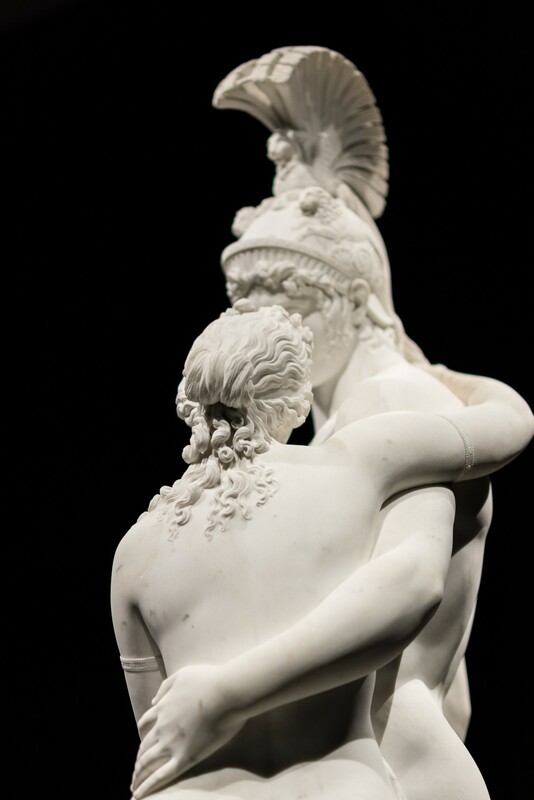 This art piece of Leopold Kiesling had been presented in 1809 in Pome and was immediately regarded as a masterpiece of Classicism. 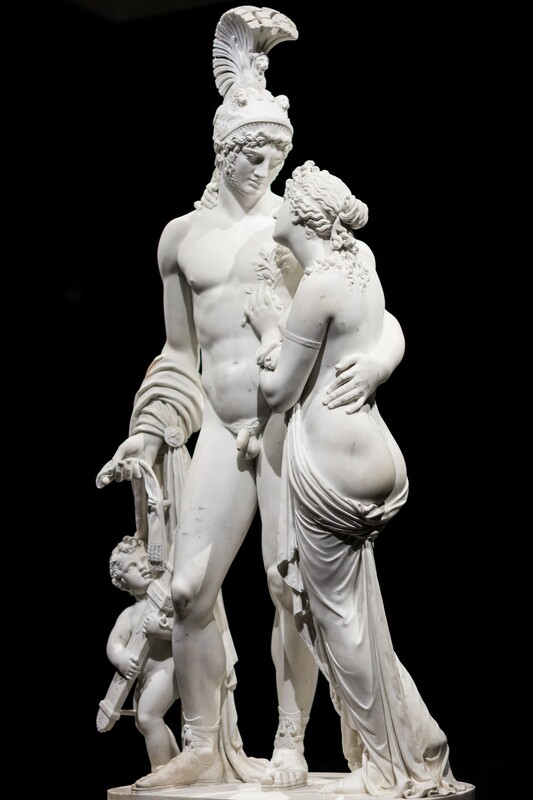 After the turmoil of the Napoleonic wars, Mars and Venus with Cupid had a deeper symbolism, the hope for Peace. And when it arrived in Vienna after the wedding in 1810 of Napoleon I with Marie Louise of Austria, its meaning became even more important. It symbolised the hope that this alliance between the Habsburgs and the French Emperor would bring a lasting peace to Europe. Theirs was apparently a happy marriage but peace did not last long. Love may not always be the solution, but can Art be a vehicle for Peace? Looking in awe at the sublime beauty of the sculpture I feel it can at least be a hopeful reminder that war can always be stopped if there is a will. 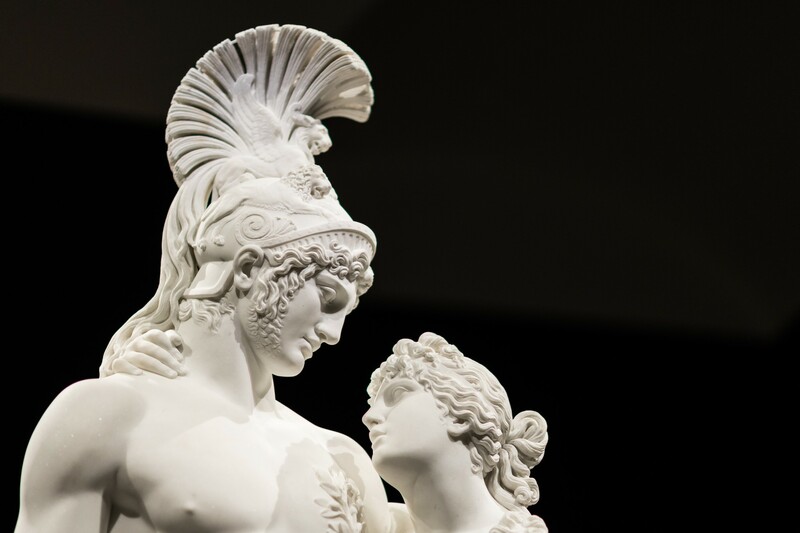 The way Venus is looking at Mars, the god of War, trying to persuade him to give up his sword to cupid is very powerful. Both are locked in each other’s eyes and cupid awaits, just like us, hopeful there will finally be peace. Often when I go to a museum I’m aware of the presence of the guardians but they are usually discreet and keep to themselves. This time I asked the female guardian if it was allowed to take pictures. She said yes, without flash, which I never use anyway. I admire them. They have to deal with thousands of tourists every week, some of them not keeping to the rules as they should. But I also often wonder how they feel about the exhibitions. Do they appreciate being surrounded by art, do they get to choose where to stand? While I was admiring the sculpture and taking a few shots, I heard a little cough. When I looked, the guardian was standing next to me, hesitating. I smiled and she felt encouraged. She asked me if I didn’t feel this was such a wonderful achievement. I said, indeed it was. She then pointed out that no matter from what angle we look from, the composition is so pure and perfect that it is hard to believe. Appreciating her enthusiasm, I again agreed. Finally she pointed out all the details, the wonderful feet, the shape of the bodies, the hands, all looking so real. She clearly is thrilled to be guarding such a wonderful work of art. Her love for it touched me and in her honour here are a few details she pointed out. I wish her peaceful days at the museum and that her enthusiasm can touch others like it did me. As for Mars and Venus with Cupid may it always be a reminder that Peace is usually the wiser choice. Es verdad Carmen! Me quedo feliz que te gustó!